My close friend and colleague Sandip along with his family paid a visit to my house sometime during summer on a Sunday. We were discussing about a visit to a religious place when Sandip’s wife who hails from Indore suggested that we should visit Omkareshwara Jyotirlinga Temple once. This would also enable us to visit the house of Sandip’s in-laws where we could stay for a couple of days and enjoy their company. The thought of traveling together with friends and family and that too to a spiritual place filled all of us with excitement. So finally the plan gets materialized and one fine morning we all leave for Indore, taking a flight from Delhi. On arrival at the airport we were received by Sandip’s sister-in-law. After a drive of a few kilometers we reached the house of Sandip’s in-laws. The family was more than happy to receive us. Our first day at Indore was spent on enjoying good meals and going out for shopping in the evening to the local market. Sandip and his family were familiar with the Omkareshwara Temple since they have visited it a number of times. The next morning we booked an SUV (Scorpio) for our trip to the temple and started our journey by chanting together Jai Omkareshwara. The road beyond Indore city was smooth while at places it was also bumpy. We went past two mountain ranges Vindhya and Mandhata covered with thick forests. The children in the group engaged themselves in endless talking, thrilled at experiencing the beautiful locales outside. After travelling close to 77 kms, we finally reached our spiritual destination Omkareshwara. Omkareshwara temple dedicated to Lord Shiva is situated on the mountain Mandhata by the bank of the river Narmada in Malva, in the Khandwa district of Madhya Pradesh in India. This sacred island, shaped like the holiest of Hindu symbols ‘Om’, is about 2km long and 1km wide. 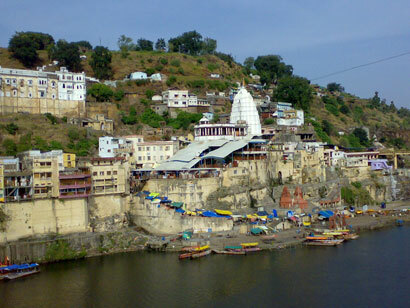 The river Narmada is one of the most sacred rivers in India and is now home to one of the world’s biggest dam projects. 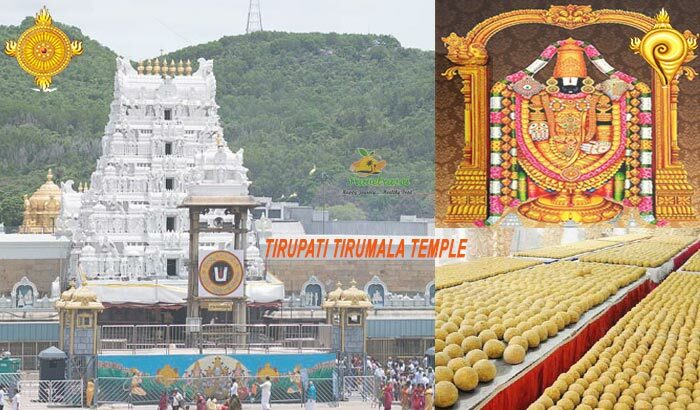 The major attraction of the temple is the white dome which is made of soft soap stone. It is built in the style of ancient Nagara pattern consisting of five distinct layers. Images of various Hindu Gods that featured on the exterior wall enhanced the beauty of the temple. Like in any other Hindu shrines, the magnificent nature of work of this temple resembles the architecture of other Shiva Temples in India. Built in a high order of North Indian style stone construction, the temple gives an extravagant look with extraordinary artwork of beautiful carvings. In each of the layers of the five storied structure is located a temple dedicated to different Gods, namely Mahakaleshwar, Sidhnath, Gupteshwar and Dhwajeshwar. A visit to the temple took us to the glorious times of the 17th century when temples were not only places of worship but were considered as means of instilling faith and imparting knowledge on the importance of religion for upbringing of mankind. The temple attracts Hindus from all over the world. 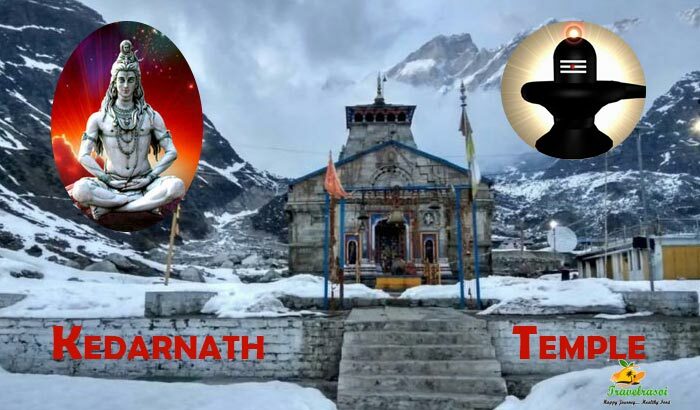 The temple is one of the 12 prime Jyotirlingas (out of the total 64 Jyotirlingas) of Lord Shiva which are spread throughout India and is closely linked with the Mamleshwar Temple on the southern end of the Narmada River. 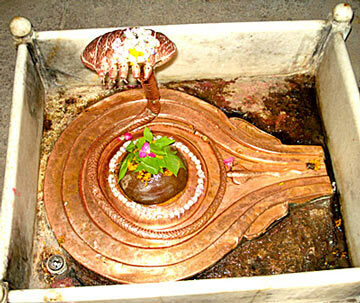 As per Hindu Mythology, Lord Shiva had created one Linga that was extremely powerful and due to pressure from other Gods later divided this Linga into two, one half is named as Omkareshwara and the other as Mamleshwar. At the temple of Shri Omkareshwara at the banks of Narmada, devotees kneel before the Jyotirlinga to worship Lord Shiva. A temple priest volunteered to tell us all about the Jyotirlinga and the stories linked with the creation of Omkareshwara. As in Hindu mythology Shiv Mahapuran, Brahma (the Hindu God of creation) and Vishnu (the Hindu God of Protection and Care) entered into an argument to find out who has the supremacy in creation. Seeing their ignorance Lord Shiva pierced the three worlds (Swarg, Martya and Narak) as a huge endless pillar of light, the jyotirlinga. Vishnu and Brahma went in opposite directions to find the end of the light. Unable to find the end, both returned to Lord Shiva. While Vishnu conceded to his defeat, Brahma lied that he found the end. To this Shiva appeared as the second pillar of light and cursed that Brahma would not be worshipped in any ceremony but Vishnu would be worshipped till the end of eternity. The jyotirlinga shrines are the places where Shiva appeared as a fiery column of light. Out of the 64 Jyotirlingas, 12 are considered holy and more superior in power. Each of these Jyotirlingas is considered as a different manifestation of Lord Shiva. 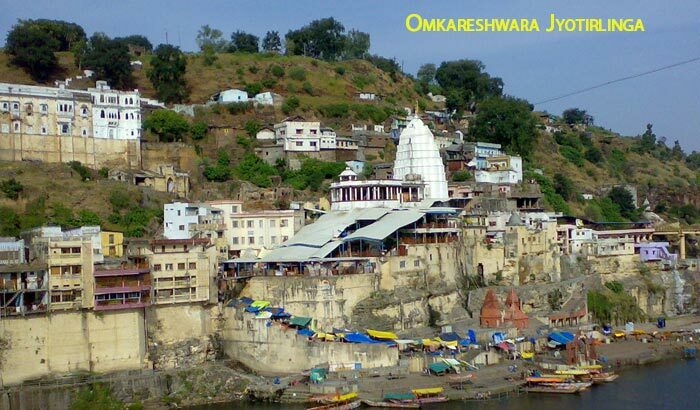 Apart from Omkareshwara the other eleven Jyotirlingas are situated at various locations of India like Mahakaleswar at Ujjain in MadhyaPradesh, Kedarnath in Himalayas, Somnath in Gujarat, Mallikarjuna at Srisailam in Andhra Pradesh, Bhimashankar in Maharashtra, Grishneshwar near Aurangabad, Maharashtra in Maharashtra.,Viswanath at Varanasi in Uttar-Pradesh, Triambakeshwar near Nashik in Maharashtra, Vaidyanath at Deogarh in Jharkhand, Nageswar at Dwarka in Gujarat, Rameshwar at Rameswaram in Tamil Nadu. There go three famous stories about the origin of Omkareshwara Temple. According to one story, Narada while travelling on earth came across Vindhya Parbat and praised to him about the growth and beauty of Meru Parbat. Upset to hear this, Vindhya Parbat prayed to Lord Shiva and with his blessing Vindhya grew very big and overshadowed the Sun and the Moon. The other Gods then became worried and approached Agasthya Rishi, who in turn played a trick and stopped Vindhya’s further growth. The Jyotirlinga that Lord Shiva placed as a sign of his boon later got divided and came to be known as Omkareshwara and Mamleshwar. The second story is that of Mandhata who along with his sons sat on an arduous meditation just to have a glance of Lord Shiva. Shiva was pleased by the devotion of Mandhata and his sons and appeared as Jyotirlinga which later came to be known as Omkareshwara. The third story is that after a defeat from the Demons, the Gods approached Lord Shiva for avenging their defeat. Lord Shiva exercised his power and appeared as Omkareshwara Jyotirlinga in front of the Demons and defeated them. We thanked the priest and came out of the temple. We spent about an hour visiting the temple and offering Puja. We collected Prasad from the counter and spent another two hours visiting the nearby temples and enjoying a boat ride on the river Narmada. As evening was approaching we decided to head back to Indore. 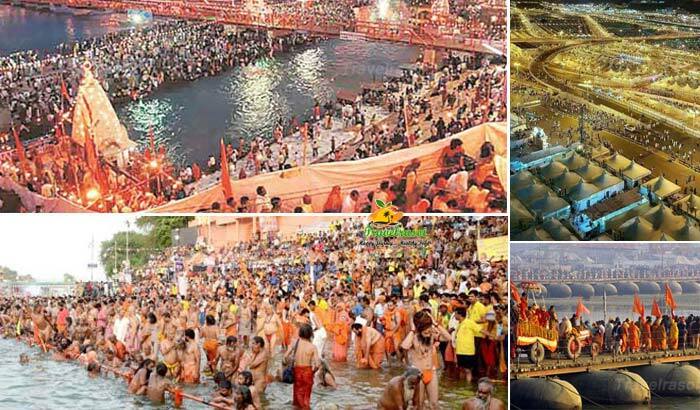 The recommended time to visit the temples is during major festivals dedicated to Lord Shiva, like Shivratri. On this day, Shiva is decorated in most exquisitely and elaborately. The temple priests chant hymns and for a moment make the devotees feel like they are close to Lord Shiva in his heavenly abode, Kailasha. By Air: The nearest airport is at Indore which is 77 kms from the Omkareshwara temple. It is connected by regular flights from Delhi, Mumbai, Gwalior and Bhopal. 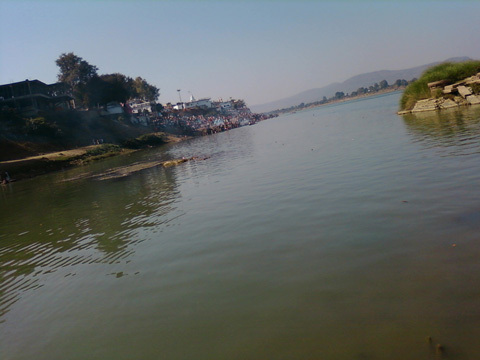 By Train: On the Ratlam- Khandwa section of the Western Railways, Omkareshwara Road is the nearest railway station. By Road: On the Ujjain- Khandwa- Omkareshwara Road, regular bus services including Volvo buses and Taxi/Cab services are available from Indore. Share the post "In Search of the Supreme Lord – a visit to Omkareshwara Jyotirlinga"